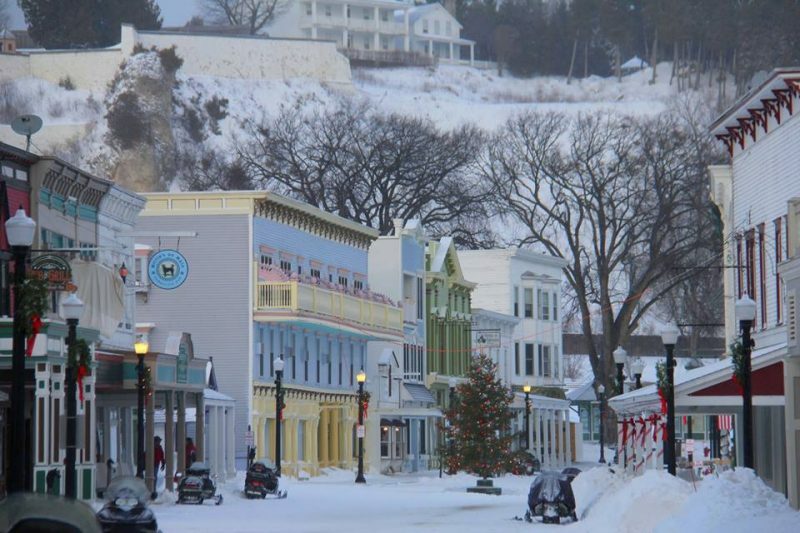 The snow has fallen on Mackinac Island and we are getting ready for the 2018 Christmas Bazaar ! November 1, 2018 Update: The wait us over! We are ready to announce Friday night events. There will be a hayride at 4pm for the kids. Hayride will depart from Christmas Tree and return by 5pm for our annual Christmas tree lighting! After the tree is lit, please join us at the Community Hall for a Pig Roast dinner. $15 adult and $7 children 12 and under. We will have carolers on hand as well. Mackinac Horsemen's Association is our Fall Grant Spotlight of the week. MHA is the recipient of two fall grants. The first grant is the Horse Jumping program. The grant will supplement the cost of horses, instruction and insurance for qualified students in horseback jumping at Mackinac Community Equestrian Center. The second grant, Mackinac Island Equestrian Team, will create an equestrian team for any child attending Mackinac Island Public School. MHA has been working diligently to get the youth on the island more involved in preserving the equestrian culture and it is their hope that this will create a long lasting and cohesive bond of island youth by working together with horses as a team. All of the trees were beautiful! !